Bridgeport, CT - The Housatonic Museum of Art will offer a presentation by kHyal, an award-winning creative director, designer, artist and writer on Monday, November 2 at 2pm in the Burt Chernow Gallery, in Lafayette Hall located on the Campus of Housatonic Community College. This event is free and the public is cordially invited to attend. For directions to the campus visit our website www.housatonicmuseum.org. kHyal is currently Chief Creative Officer at Metropolitan Interactive where she has worked on projects for the new Whitney Museum of American Art, BRIC Arts Media and Lincoln Center for Performing Arts. kHyal has held the position of Creative Director in cutting-edge technology companies and digital agencies at the forefront of innovation. She was co-founder and VP of Marketing for SunStar Publishing, a consumer software publisher, and Blowtorch Studios, an interactive agency and software development company; and founder of fiZz Agency and Free Range Copy. Before founding fiZz, she spent five years working in educational publishing spearheading digital initiatives for Harcourt and McGraw-Hill. She also served as Interim Director of Marketing and Public Relations at Stamford Hospital. kHyal majored in Mass Communications at Emerson College in addition to studies at The School of the Museum of Fine Arts, Boston; The Art Institute of Boston; Boston Film and Video Foundation; Loyola Law School and Kodak’s Center for Creative Imaging; and the Fashion Institute of Technology (FIT). She served on the MIT Enterprise Forum of New York City’s Marketing Committee; co-chaired the Fundraising Committee of Volunteer Lawyers for the Arts, Los Angeles; and was an active member of the Connecticut Technology Council’s Vice President of Marketing Forum. 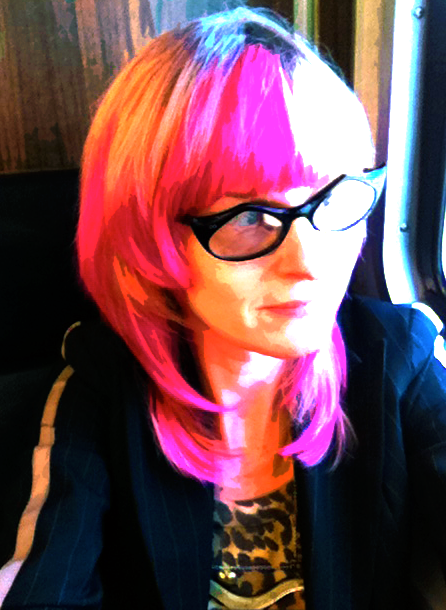 She has been a juror for the London Interactive Advertising Awards, a judge for Hasbro’s Project Upcycle Design Awards, served as Communications Chair for the American Institute of Graphic Arts (AIGA) Metro-North Chapter, and is currently on the advisory board of GraphicDesign.com. kHyal uses the pseudonym “MegaGlam” to showcase her fashion design, art, illustration, surface and character design. 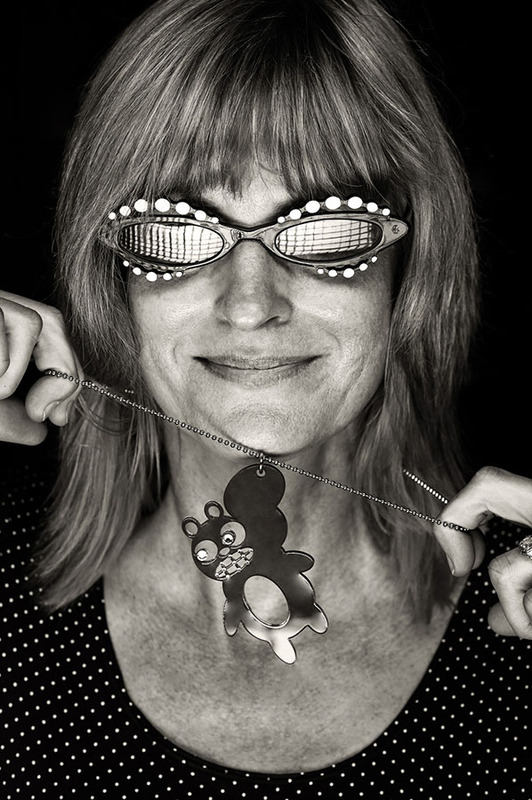 Her work has been exhibited at the American Visionary Art Museum, Pictoplasma–Berlin, la Gaîté Lyrique–Paris, Outsider Art Fair–New York, City Museum–Washington–DC, Intuit–Chicago, EGGO Arte–Buenos Aires, Cooper Union, Art Basel–Switzerland, Aqua Art Miami, and galleries from New York to Los Angeles and London. Since 2007, kHyal has collaborated with her husband Karl Heine on art, design and education projects. kHyal and Karl co-founded S0N0 Spaces, PUSH Workshops, PUSH Design Camp, Thrilling Projects and the Fairfield County Adobe Users Group. Together they have worked on projects throughout the US, China, Argentina, France, Germany, Switzerland, Italy, Belgium and Spain. kHyal has been a technology junkie since the 80s and is a founding member of the Women’s Internet History Project. She began her tech career in the high-end audio field with industry pioneer Mark Levinson, founder of Mark Levinson Audio Systems, Cello, Ltd., Red Rose Music and Daniel Hertz SA. During this time she consecutively created interactive artworks and installations including sound, light, animation and video projections. Before her first Mac, kHyal used an Amiga computer to create live MIDI music performances and video animation. She was a member of the Amiga Users Group at Yale University, and active in Silicon Alley in the 90s. Her first blog on kHyal.com featured the emerging technology scene in New York City in 1996. Prior to that, she worked in Los Angeles and San Francisco in the fine art world, on art restoration projects and period framing for clients including the Getty Museum and Los Angeles County Museum of Art.